Like many people, I had dreamt of discovering my own tropical paradise; of stumbling upon a deserted beach with soft, white sand and swaying palm trees in some far flung corner of the world. However, I knew it was unrealistic to find a place that was both free from heavy tourism and convenient to reach, so I opted for something in the middle – an island which would give me a small taste of that ‘Robinson Crusoe’ feel, and yet was not completely cut off from civilisation. 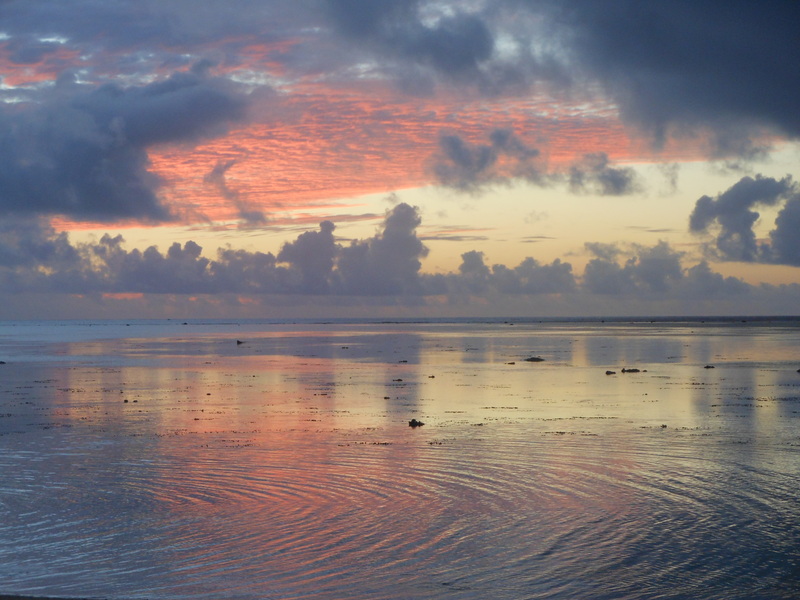 Aitutaki, the jewel in the Cook Islands’ crown, seemed to fit the bill. I scheduled my island stopover as part of a round the world ticket with Air New Zealand. 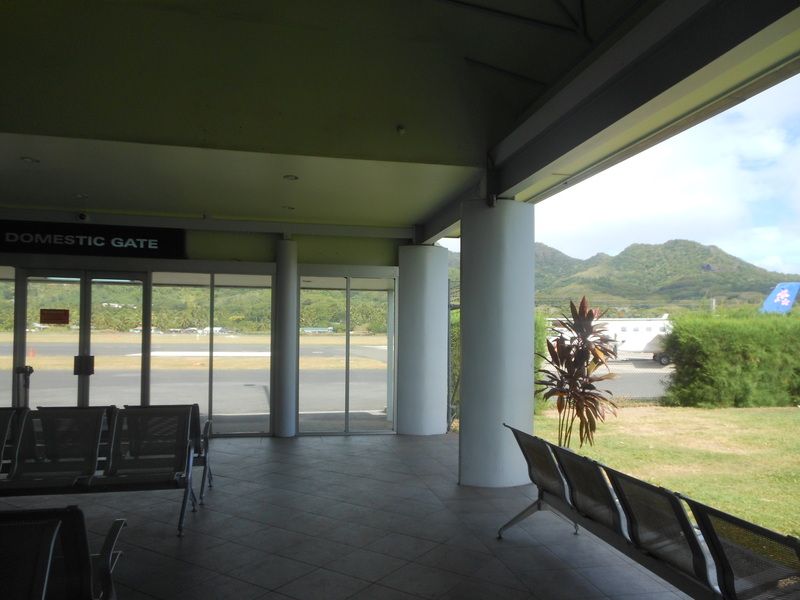 Thirteen time zones and ten thousand miles later, I was sitting in Rarotonga airport, ready for my outbound flight to Aitutaki. It was the most relaxed airport lounge I’d ever experienced. With no walls and the warm breeze sighing all around me, it felt more like waiting at a local bus stop. The plane that sat on the runway was the small, two-engined kind that always make me nervous. As the propellers burst into noisy life, I pressed my forehead against the dirty glass and watched Rarotonga disappear into the distance. The aerial view of Aitutaki was simply stunning – a gleaming turquoise atoll isolated in the vast deep blue of the Pacific. Currents of shallow water lapped over coral reef as we approached the main island. 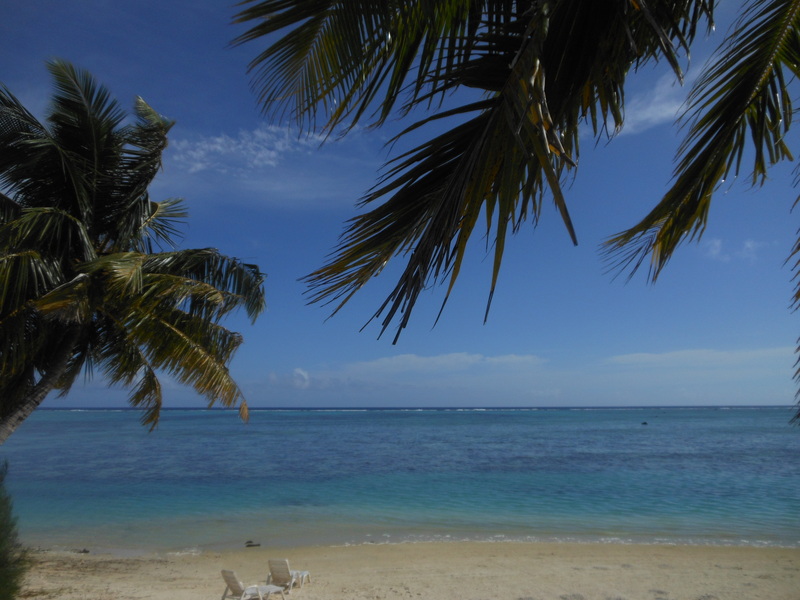 On arrival, I immediately sensed a different ambience to Rarotonga. It seemed quieter here, with fewer tourist amenities and no public transport. I knew from prior reading that the internet would be virtually non-existent, with only one café providing slow and expensive access. When I strolled out of the airport, I was greeted with a necklace of flowers and a coconut drink, fulfilling my fantasy of landing in a tropical paradise. A minibus arranged by my accommodation was ready to collect me, along with a couple who were also staying at the same beachside huts. While I sat opposite them, I began to worry that maybe I’d made a mistake, that perhaps I didn’t belong in this honeymooners haven. 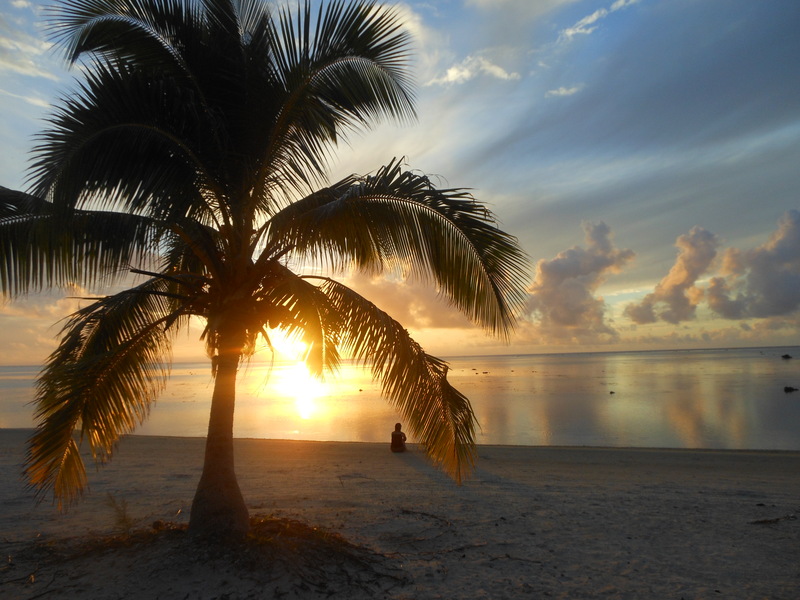 Yet I fretted needlessly, as all sorts of people were staying in Aitutaki, including families and other solo travellers. The small, simple hut I had booked was perfect, with my own balcony to gaze out at the impossibly beautiful scenery. As the afternoon sun began to set, I wandered idly down to the beach and admired the tranquil lagoon. Almost too wonderful to be real, it was as if an oil painting had been brought to life. Like liquid mirror, the still water reflected all the colours of the sky. Ripples danced across the surface, momentarily distorting it as tiny fish jumped out of the shallows. The next morning, I stepped outside and took a moment to pinch myself, in disbelief that I had achieved one of my biggest dreams and travelled to the other side of the world. I savoured every second of the heavenly view, knowing that this was one of those truly ‘once in a lifetime’ experiences. Having left behind a job which made me so unhappy, I felt incredibly grateful to have found not just a vision of paradise, but also a moment of perfect peace.